The New Talavan farm community welcomes you to experience the Talavana spirit. 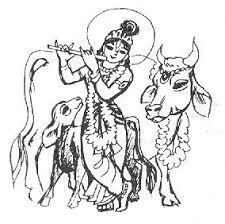 Come and see Sri Radha Radhakanta and his beautiful cows and bulls. 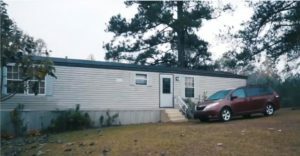 If you need a place to stay we have two fully furnished cabins equipped with washer, dryer, refrigerator and cooking range available for reservation on first come first serve basis. Please select the dates and fill all the relevant details. And please don’t forget any specific requirements. We will make our best efforts to meet those needs. Remember to let us know any changes in your arrival date or time. By Emailing us or texting to +1 6013855450. Note calls may not be always answered. Ask for a special guided tour of New Talavana when you arrive. 1. Please book only if you are sure of the dates. First, click on the arrival date and then click on the departure date. Your dates will be selected. 2. Provide correct information on all required fields. This helps to keep New Talavana and her visitors safe. Guests providing incorrect details risk cancellation of the booking. 3. In the event of change please text +1 6013855450 as soon as possible. No show will result in denial of all future booking. 4. Give the exact number of adults/kids visiting to plan for our food preparation. Alternatively, if you’re cooking please plan to bring your own food materials. 5. We update you of the approval status over email so provide the email you access. No emails? please look in your junk email folder. 6. Alternatively, you can request updates over text if you provide a correct mobile number and specifically request under “Special Needs”. 7. Please kindly clean the rooms and leave everything as it was for the next guest. Report any damage when you leave the keys. 8. We humbly request you leave a donation of $60/night or more per family occupancy. It covers us for the upkeep of the property. 9. While on the property we humbly request to desist from Eating or Cooking Meat, Drinking, Smoking or any other illegal activities. 10. Please be prepared to show your Driving License(s) before checking in for our records. 11. Please note rooms are open for re-booking unless we receive a clear payment. 12. Maximum occupancy in one cabin is one family or maximum 5 persons including kids. If more expected mention in “Special Needs” we can consider on a case to case basis. You may donate online by PayPal or with credit card using the secure PayPal site. Simply select the amount you wishto donate, then click the Donate button. Please have your credit card number handy.